How many times did you come to this phrase: "now add the Syrup" in a recipe and felt clueless? 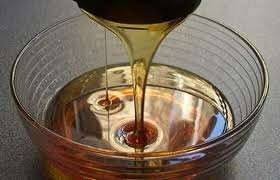 Chefs assume we all know how to make Syrup (or Almíbar as is also called)...but if that is not your case, learn here how to make it! It's easy, my word! It has many applications in the kitchen of sweet tooth people. This is so because it is a very practical way to provide sweetness to ice-creams, desserts, sauces, fruit salads, triffles, sorbets, merengues. It is also used to preserve fruits (peaches, apricots) and, here we come, to moisture sponges and cakes! The beauty of it is that it can be as versatile as you need it to be. You can use the Almíbar to incorporate colours, flavours, and liquors. 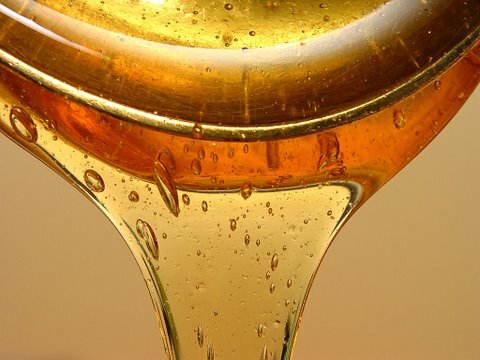 What exactly is Syrup? The culinary one is simply a viscous and thick solution of sugar in water. Just that. Its origin is Arabic. It makes sense: Arab desserts and drinks tend to be extremelly sweet..
...in a 1:1 ratio. For example: 1Kg sugar + 1Lt water; 500gr sugar + 500ml water; and so on. 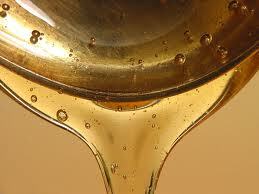 - Place the sugar and the water in a saucepan and stir until the sugar is completely dissolved in the water. - Take to medium fire until boiling point is reached. - Boil without lid for about 30 minutes , or until desired consistency (have in mind that once cool, it will be a bit thicker). - The resulting liquid will be viscous and amber. Cool down. Tips: According to the use,the Almíbar may need a thinner or thicker consistency, higher or lower sugar-water ratio. Always check the ratio and the desired final point in your recipe. 30 minutes boiling is about right is you are goint to use it to moist cakes. -You could flavour this Almíbar by adding orange or lemon peels when boiling. Remove peels before use. -You could also use vanilla extract or vanilla essence to add flavour. In this case, wait until cool down before adding few drops of the liquid flavour. -Similarly, you could add few drops of liquors once it is cold. I prepare it in advance, ie. the night before, to allow time to cool down before using. I prefer to prepare a big batch, and keep it in the fridge, ready to be used at any time. I also use to replace a part of it by the syrup that comes in fruit cans (if using that fruit in the cake: ie, the syrup from pinapple cans when making a pinapple cake). Allow your creativity go free! !